New research reveals that a staggering one third of alkaline batteries thrown away may still have up to 67 per cent of usable power left inside1! For the first time, Duracell™, in collaboration with Battery Compliance Organisations2 and supported by Energy Saving Trust, has been able to determine the amount of unlocked battery power, putting an actual figure on wastage. Duracell Ultra Power featuring POWERCHECK™, together with Energy Saving Trust is helping consumers understand how to maximise battery power, tap into unused resource and reduce energy wastage in the home by giving their batteries a second life. Unknown to most, some high drain devices such as a digital camera or an MP3 player, may stop working long before its batteries’ power is used up due to a power default switch inside the device, but this doesn’t mean the battery is dead. These batteries often go on to provide long lasting power in low drain devices such as alarm clocks or TV remotes. In fact, a typical digital camera might use only 20 per cent of the energy in its batteries leaving a staggering 66 per cent of battery juice to power up a low drain device such as a kid’s toy3. Duracell Ultra Power is the only battery that offers the unique built-in POWERCHECK™ technology. It’s like having x-ray vision, enabling you to see the energy left inside so you can squeeze out all the power. It’s as simple as pressing the white circles on each side of the battery and the gauge will indicate how much power remains. So next time you’re on holiday and your digital camera flashes to tell you the batteries are dead, it’s time to try out POWERCHECK™ to see how much power is left inside so you can give them a second life in your devices back home. 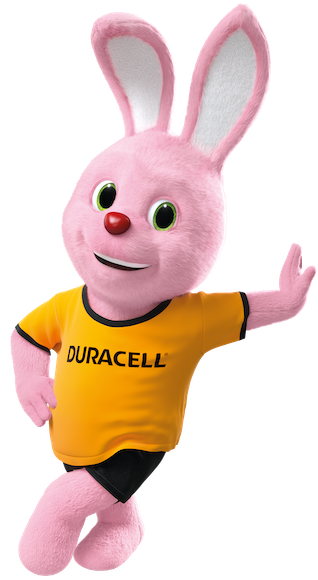 Energy Saving Trust is supporting Duracell’s bid to get consumers to maximize power use from their batteries. Philip Sellwood, Chief Executive at Energy Saving Trust said: “We can all do our bit to save energy and reduce our carbon footprint and at Energy Saving Trust we welcome this opportunity to encourage consumers to use battery power more efficiently. What can I power up? Duracell started in humble beginnings in the early 1920s but has since gone on to become the best selling battery brand in the world. Duracell’s aim has always been to provide a variety of personal power options for the very best value which are loved by consumers across the world. Duracell is committed to developing a broad range of solutions to keep people powered up longer, not just through batteries, but a range of on the go devices and charging capabilities to suit any situation. As technology enables us to do more than ever before, Duracell’s new line-up makes it possible for people to see, do and experience more through extending the use of the devices, taking them from out-of-power to charged. This streamlined portfolio features a range of Portable Chargers, battery chargers & rechargeable cells and traditional disposable round cell batteries designed to meet all power needs, both at home and on the go, extending the usage of the devices we can’t live without, from smartphones and cameras to music players. Energy Saving Trust is organised as a social enterprise with charitable status. We have incorporated a new charitable parent company, under which is a non-profit company continuing to deliver substantial government-funded programmes and a wholly owned trading subsidiary. We remain independent and we will continue to provide communities and households with impartial advice. We have an innovative range of services, which businesses and organisations can buy to equip themselves to benefit their customers. Energy Saving Trust was formed in 1992 and was previously a not-for-profit company limited by guarantee. Zapoznaj się z najnowszymi materiałami Duracella lub wybierz dowolny materiał prasowy. He’s rowed The Atlantic, cycled across The Arctic, ran an ultramarathon across the Sahara Desert (not to mention winning two Olympic Gold Medals) – and now, endurance athlete James Cracknell has teamed up with Duracell, the longest lasting alkaline battery to help inspire and empower people to follow his lead and achieve their own lifelong goals. Duracell has today announced it is an Official Partner of the 2016 Great Run Series, as part of a new campaign to help runners ‘Unlock the Power Within’.